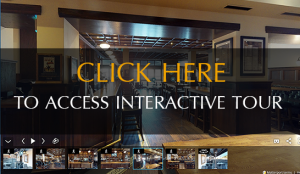 Explore our venue with our interactive tour. Ma Nolan’s, Nice Port boasts an impressive feature back bar and innovative use of wood, steel and leather. This pub is designed to be a warm, welcoming and atmospheric venue, the perfect place to eat, drink and party. An outdoor terrace situated to the front of the premises provides customers with front row seats to stunning views over the Port and across to the Chateau. Check out all our tags throughout Ma Nolan’s, Nice Port, for further information on some of our great features.